Figma 3.0 brings new Styles, prototyping upgraded and more! 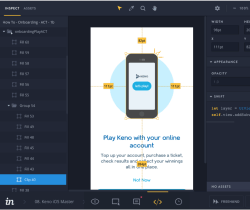 Also check out Zeplin 2.0 after first launching 3.5 years ago. 👩🏽‍💻👩🏼‍💻👩🏿‍💻👩🏾‍💻👩🏻‍💻Women Make is a community for women makers to meet and chat – don’t feel alone! Alissa asks if companies favor ‘unicorns’ with mediocre skills in many areas, as opposed to those with a depth of strengths in fewer areas of UX. 3. How to choose a company for growth of a Designer? Max advises on what to look for in employer to ensure a bright design future. “There’s not enough time… We don’t have the budget.” Margie looks into the root of such objections to research. 5. Where do UX Researchers come from? I bet you a sandwich that if you ask 10 researchers how they got into research, you’ll end up with 10 different answers. Amr analyses the iOS control center buttons, suggesting a fix to an annoying problem. 7. Forget the notch, why the chin? An informed rebuttal to ‘notched’ Android smartphone releases. Here’s a free design domain. $0.00 $34.48 with our special link. 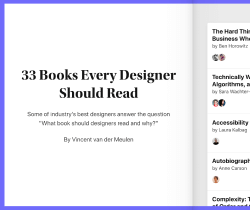 Components, renaming assets, full size thumbnails in Dashboard, revamped interface for layer properties, Styleguide and Dashboard— check out what’s new! 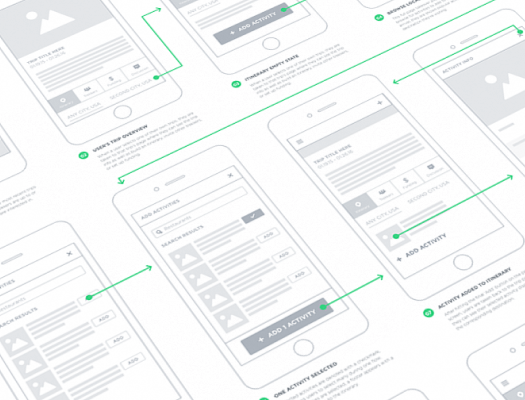 Styles, prototyping++ and design at scale! Overlays, Fixed Elements, and More from Adobe! Take a look at Chris’s tools of choice for his personal and professional design system. Jess introduces UI Goodies – a curated resource of recommended tools. List of Keyboard Shortcuts for Invision Studio. A simple and effective tool to generate better gradients. Twitter’s open source emoji has you covered for all your emoji needs. 2,841 emojis with the latest Unicode specification, all for free. Have a great app idea but don’t know where to start? Clementine will help you build a detailed scope with price and time estimates too. 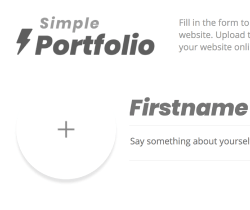 Fill in a form and instantly generate a portfolio website. Upload the HTML file to your webhost to put it online!